Thank you all so much for your sweet comments and well wishes on my blogiversary. It truly warms my heart to know that so many of you enjoy visiting my blog and seeing what I'm up to. Without further ado, the winner of the little table topper is Michelle. And the second place winner of some surprise goodies is Rebecca. I finally got around to cutting into the fabric for my new quilt the other night. Here's the first block...it still needs sewn together. I'm going to make a few more of these and then decide if it's the pattern I want to use for the quilt or not. I also planted a few rows of miniature sunflowers...they come in different colors and are so pretty. They're just starting to bloom now, so there will be lots more. I love that sunflower. Those will make such pretty bouquets. 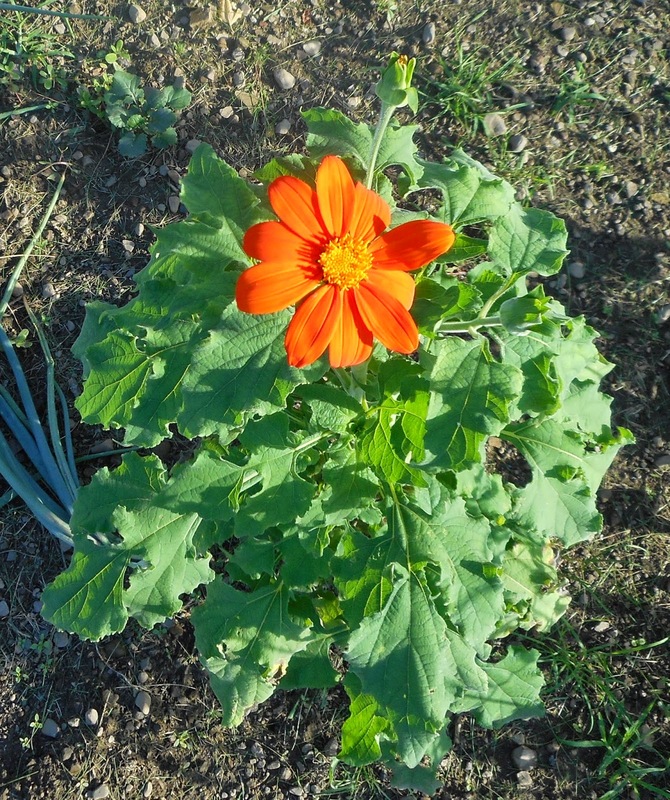 Is that first flower in the zinnia family? It looks very similar. I like your block colors. Congrats to the winners. Love the colors in the new block. The flowers are beautiful and the Lady Bug is neat with it's shadow. I love sunflowers and ladybugs! Thank you so much Terry for the fun giveaway for your anniversary! I like the block you have planned. How large of a quilt are you making? That torch flower is really pretty, I am sorry you lost the others to those dirty bunnies. lol. 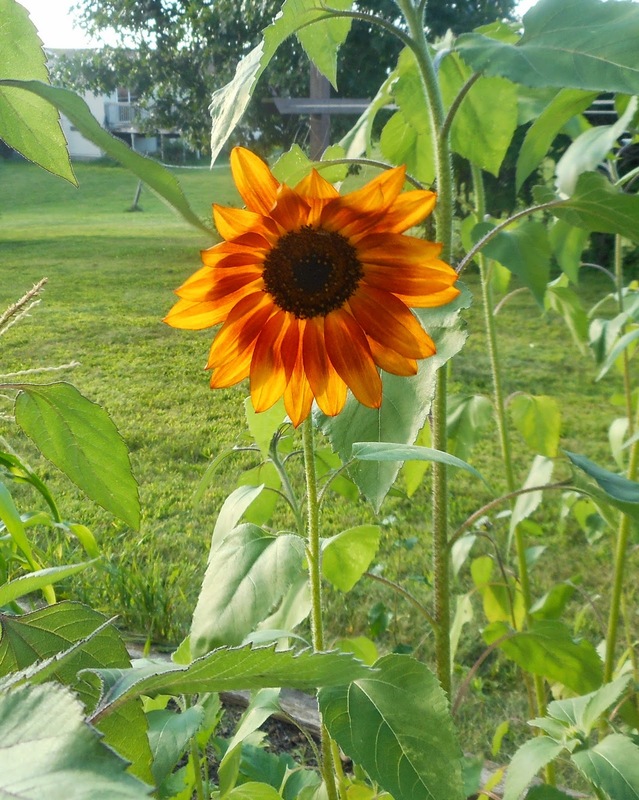 I am glad you posted the photo of your miniature sunflower! I did not know there was such a thing, I drove by someone's flower bed and I thought they had place some artificial flowers in it! Congratulations to the two lucky winners! Your block is very pretty as are the flowers. Too bad about the bunnies needing a bath! 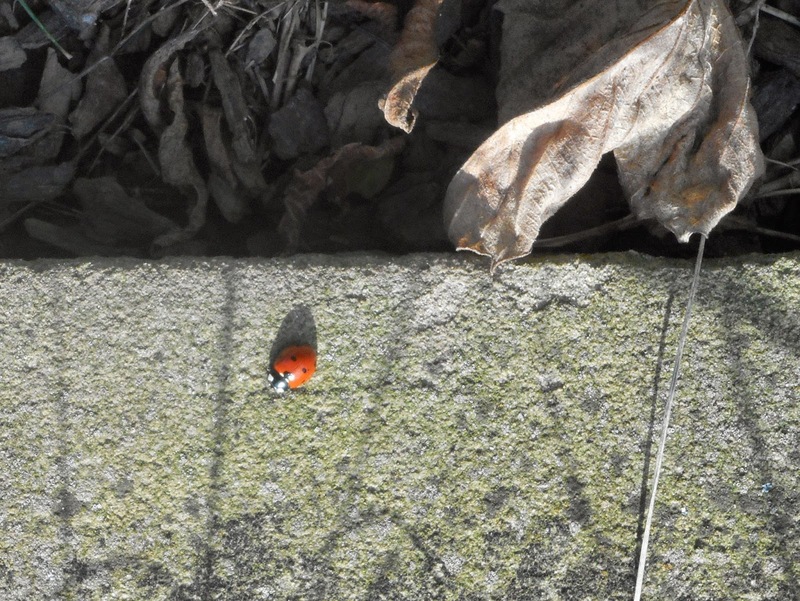 I agree, the photo with the ladybird's shadow is very cool - it makes the ladybird look like an enormous creature! That's a sweet picture of a ladybug. You should print and frame it. I like your tester block. I think you should go forward with it and make a new quilt. Love your fabric combo on your new block and the sunflowers remind me sun and bright days! Congrats on your blogiversary! I love your garden pics and look forward to seeing the finished quilt!